Definition at line 20 of file CBitPatternTree.h. Definition at line 18 of file CBitPatternTree.cpp. Definition at line 22 of file CBitPatternTree.cpp. Definition at line 31 of file CBitPatternTree.cpp. Definition at line 36 of file CBitPatternTree.cpp. Definition at line 41 of file CBitPatternTree.cpp. 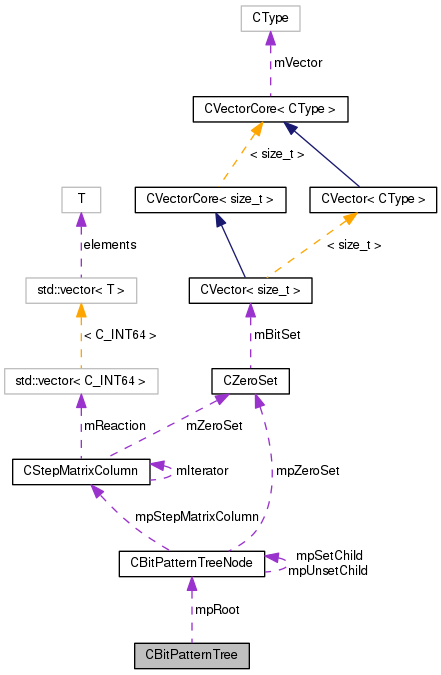 Referenced by CBitPatternTreeMethod::combine(), and CBitPatternTreeMethod::findRemoveInvalidColumns(). Definition at line 51 of file CBitPatternTree.cpp. Definition at line 39 of file CBitPatternTree.h. Referenced by CBitPatternTree(), getRoot(), isExtremeRay(), size(), and ~CBitPatternTree().